Serving up the creative thinkers! Who do we name our servers after? Blog/Serving up the creative thinkers! We’re huge lovers of science, technology and innovation at Carbon – our company values revolve around being sustainable, creative, innovative and of course, the caring for the natural environment. Perhaps unusually for a branding, web design and digital agency we prefer to manage all of our own server infrastructure ourselves which allows us to host and maintain our clients websites more effectively. This is important to us because it means we can control which technologies, components and tools are deployed to the servers, so that our websites can be super optimised and efficient for the environment in which run. No unnecessary plugins or outdated systems will slow our sites down. We want to give our beautifully designed, superbly coded websites the home they deserve, and so managing our own servers is an added value service we bring to our website clients, whoop, whoop! The more websites we build, the more servers we spin up and each one of our servers is lovingly named. So, after kicking out the first naming convention of famous supermodels (offered by one of male devs… ahem!) we came to a better, more thoughtful strategy aligned with our values, intersecting science and creativity, we’ve named our servers in honour of some of the greatest scientists and creative thinkers of our time. 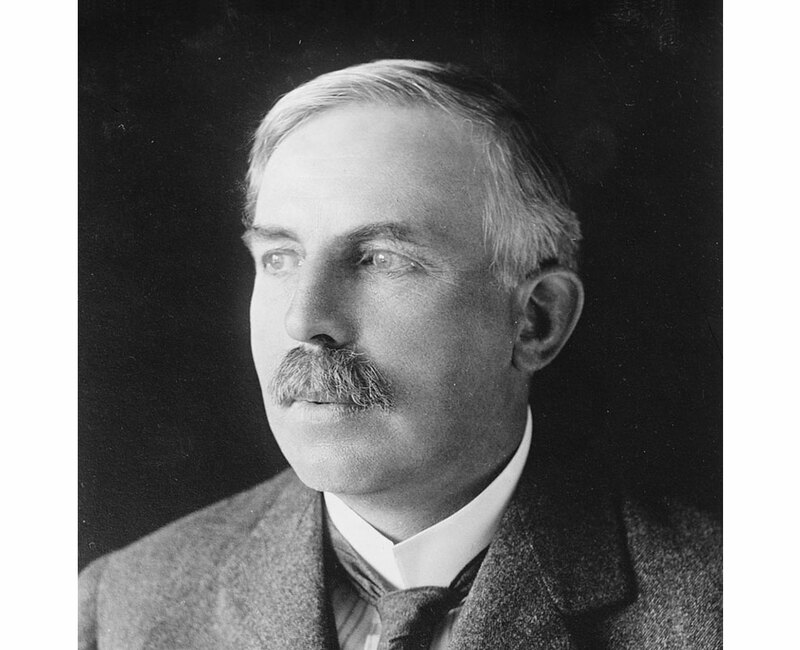 Ernest Rutherford was a New Zealand-born British physicist who became known as the father of nuclear physics. He devised the Rutherford model, which is a model of the atom. In 1907 Rutherford became professor of physics at Manchester University, which is very close to home for us! He won the Nobel Prize for Chemistry in 1908. He helped to develop methods of dealing with submarine warfare, as well as studying underwater acoustics, and was knighted in 1914 but the war interrupted his work. He returned to physics in 1917 and conducted a lost series of experiments. He artificially induced the first nuclear reaction, therefore virtually creating a new discipline – nuclear physics! The ‘rutherford’, a unit of radioactivity, was named in his honour in 1977. Polish-born Marie Curie was one of the most famous scientists of her time. She was a physicist and chemist, along with her husband Pierre she investigated radioactivity, in July 1898 they announced the discovery of a new chemical element – polonium, and later that year – radium. 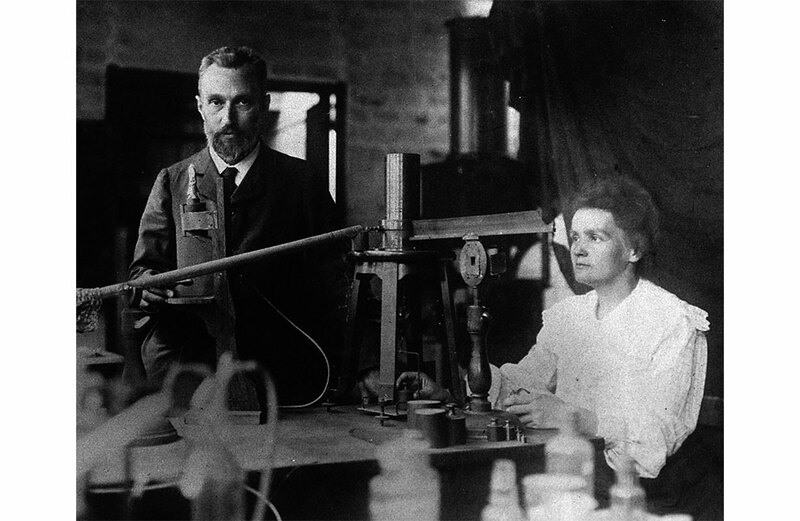 The Curies were awarded the Nobel Prize for Physics in 1903, along with Becquerel (French physicist). Marie began teaching, after her husband was unfortunately knocked down by a carriage and killed, and she took over his teaching post. In doing this, she became the first woman to teach at the Sorbonne (University of Paris, 1150 – 1970), and continued the work she had begun with Pierre, receiving a second Nobel Prize for Chemistry in 1911. During World War One, she helped equip ambulances with x-ray equipment, which she then drove to the front lines. Marie and Pierre’s research was pivotal in the development of x-rays in surgery – Marie held training courses for medical orderlies and doctors in the new techniques, and she was made the head of The International Red Cross’ radiological service. Marie faced huge opposition from male scientists in France, and never received any significant financial benefits for her work! She sadly died in July 1934 from leukaemia, which was caused by exposure to the high-energy radiation from her research. Turing had a huge interest in finding practical uses for abstract mathematical ideas. In 1936, he published a paper that is now hugely recognised as the foundation of computer science. He invented the idea of a ‘Universal Machine’ that could decode and perform any set of instructions, ten years later he turned his idea into a plan for an electronic computer, capable of running any program. 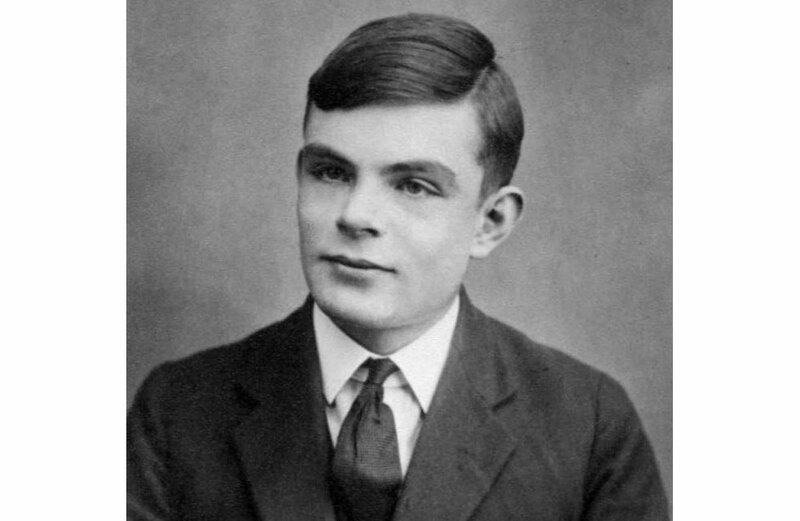 Turing spent 2 years at Princeton University, he developed ideas about secret ciphers, which then lead him to return to Britain and join the government’s code-breaking department. His work helped develop a machine called The Bombe, which was capable of cracking the German’s Enigma messages. Around Manchester, Turing is very well-known for creating the Turing Test. He wrote about the idea of an ‘imitation game’ in a philosophical paper, where he compared human and machine outputs. This paper is renowned as his best known work, and was a huge key contribution to the field of Artificial Intelligence! Stephen Hawking is probably the most recognised scientist of modern times. He’s spent most of his adult life looking for a single theory to describe our universe. He’s also well-known for his debilitating illness, of which he has escaped the limits of, by training his mind to work in a new way. 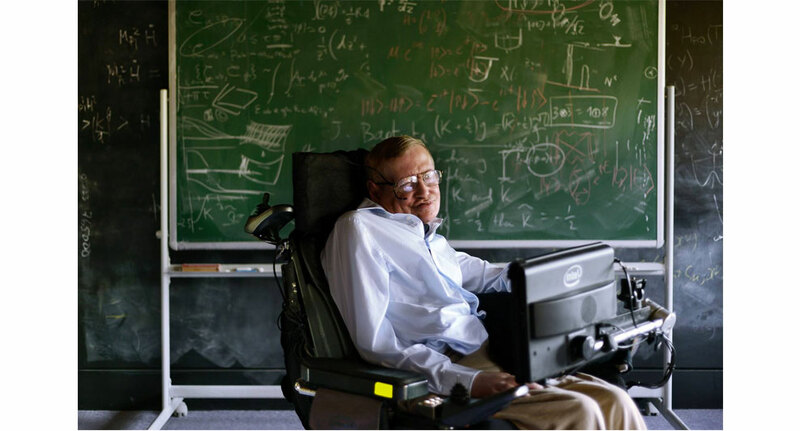 Hawking worked on proving the idea of a ‘Big Bang’ being the start of the Universe, he worked with mathematician Roger Penrose, to realise that black holes were like the Big Bang in reverse. This meant that the maths he’d used to describe black holes, also described the Big Bang – a key moment in proving the Big Bang really happened. Over the years, Hawkings has continued his work – realising that black holes could be a way to explore physics’ holy grail, combining general relativity with quantum mechanics. He became Lucasian Professor of Mathematics at Cambridge University (a post once held by Isaac Newton), he wrote one of the best-selling books of all time – A Brief History of Time; introduced a new theory about whether black holes break the law of physics; wrote another best-selling book called The Grand Design; he’s had an Oscar-winning film created about his life, called The Theory of Everything… The list goes on! 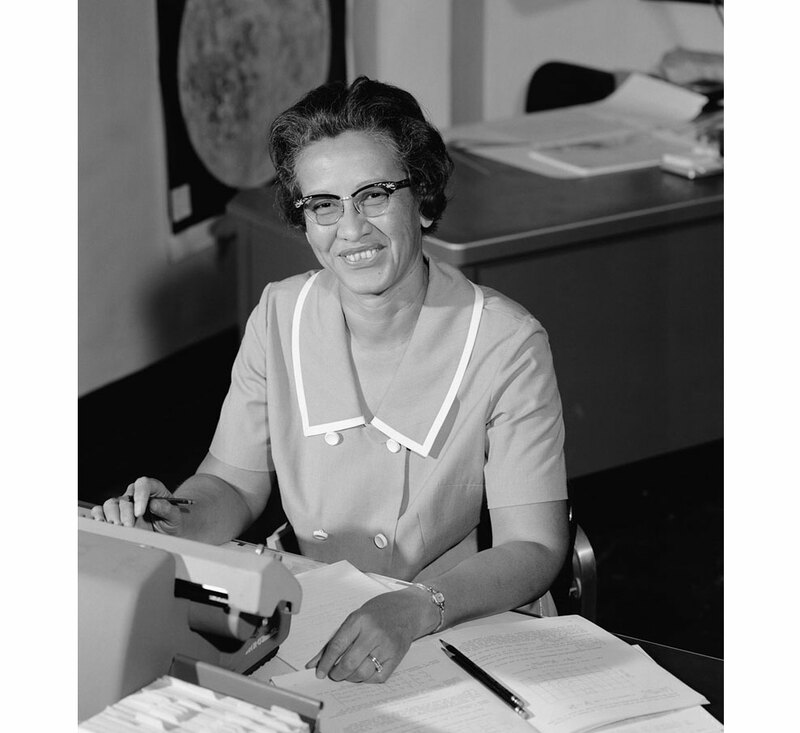 Katherine Johnson performed the complex calculations that enabled NASA to send astronauts into orbit in the early 1960s, and to the moon in 1969. The task of plotting the path for Alan Shepard’s 1961 journey to space (the first in American history), fell on her shoulders. She told people “Let me do it. You tell me when you want it and where you want it to land, and I’ll do it backwards and tell you when to take off”. The next challenge she faced was checking the work of the electronic computers that did the calculations to send a man in orbit around Earth – the job wasn’t considered complete until Katherine was asked to check the work of the machines. Although NASA continued to use computers, Katherine’s accuracy continued to remain highly valuable – she performed calculations for the 1969 Apollo flight to the moon. She also contributed to contingency procedures that helped ensure Apollo 13’s safe return, when it experienced a malfunction in space. She continued to serve as a key asset for NASA – she helped to develop their Space Shuttle program and Earth Resources Satellite, until she retired in 1986. Katherine has received many awards, including the Presidential Medal of Freedom in 2015. Her story was also shown through a book and feature film in 2016 – Hidden Figures. And most recently in September 2017, she was honoured with the dedication of a new research building which is named after her – the Katherine G. Johnson Computational Research Facility – by NASA. 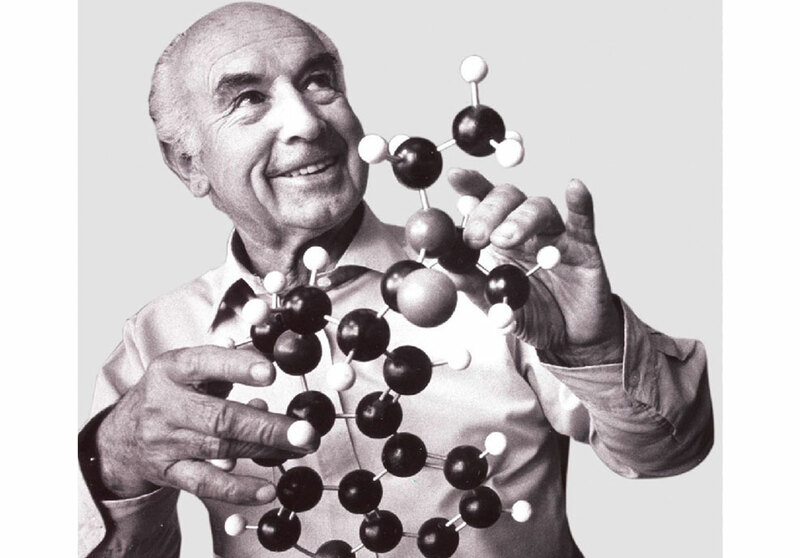 Albert Hoffman was a Swiss chemist who discovered the psychedelic drug, LSD. After graduating university of a doctorate in medicinal chemistry, he was hired to program developing methods for synthesising compounds found in medicinal plants, which is where he came across LSD-25 (the 25th derivative tested). Hoffman spent years researching the drug, and accidentally absorbed a small amount, resulting in him experiencing dreamlike hallucinations. After the experience, he purposely ingested the drug many times, and he concluded that it could be used in psychiatric treatments. He believed that it would one day be useful in the therapeutic treatment for schizophrenia and other psychiatric health conditions. He disapproved of the casual recreational use that defined the drug in the 1960s, but continued with his belief that it could be used under controlled circumstances as he had full knowledge of the possible effects, and it could therefore be proven useful in both psychiatric and spiritual contexts. Hoffman also isolated a drug used to treat postpartum haemorrhaging, called methergine. Much of his later research focused on the psychotropic qualities of plants and fungi. He synthesised hallucinogenic compounds in the mushroom ‘Psilocybe mexicana’, discovered a similar compound to LSD in a species of ‘morning glory’, researched the plant ’Salvia divinorum’ for hallucinogenic components, and investigated the pharmacological properties of many many other plants too! Sir Isaac Newton doesn’t need much of an introduction, he was an English mathematician, astronomer and physicist – widely recognised as one of the most influential scientists of all time. He completely changed the way we understand the Universe. He laid the foundation for modern physical optics, by discovering the composition of white light integrated the phenomena of colours into the science of light. 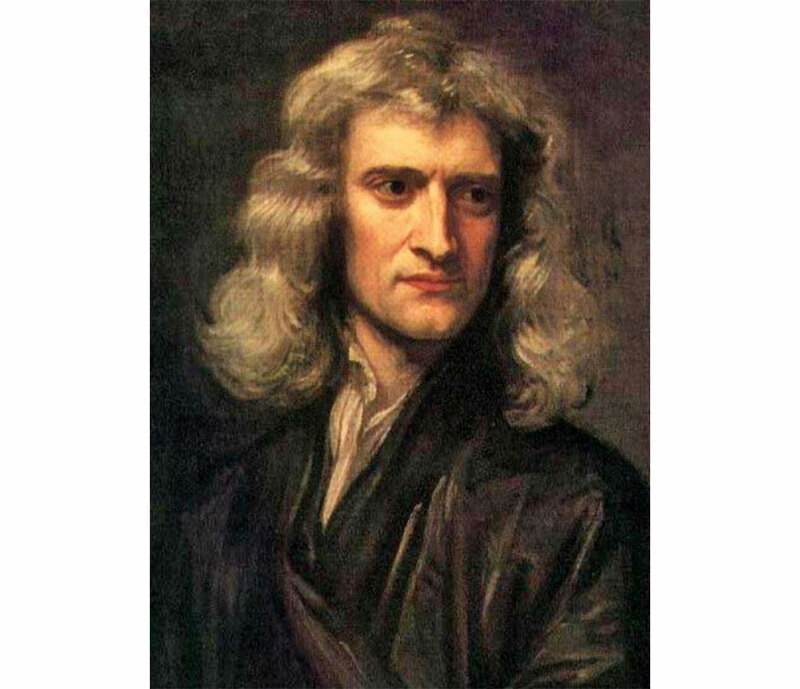 Newton’s laws of motion were published in his book Mathematical Principles of Natural Philosophy, he used the laws to explain and investigate the motion of many physical objects and systems. He used them, combined with his law of universal gravitation, to explain Keplar’s laws of planetary motion. Among many, many other things, Newton was also discovered calculus! Nikola Tesla was a Serbian-born engineer and physicist, he made many breakthroughs in the production, transmission and application of electric power. He was a famed inventor, who briefly worked with Thomas Edison. 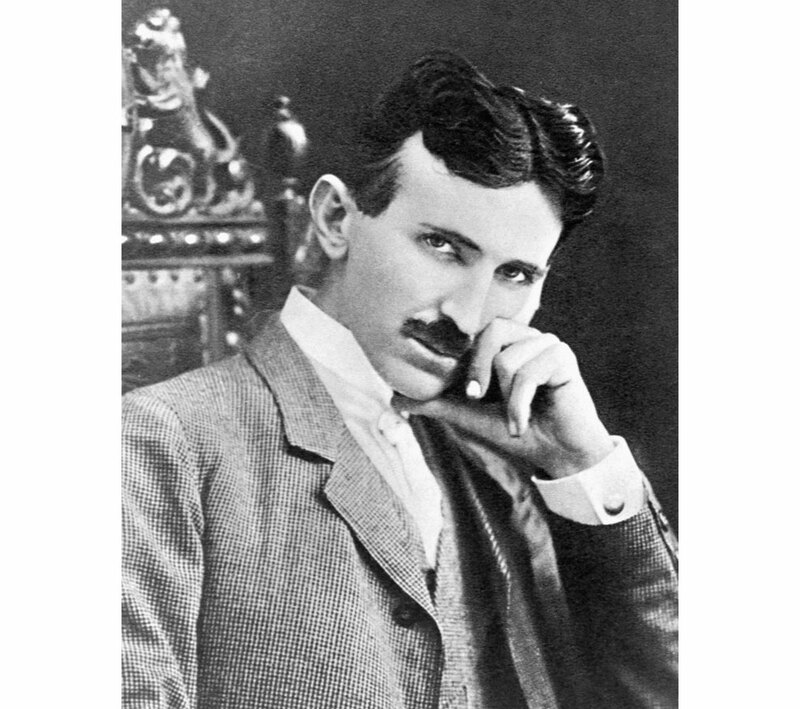 He invented an AC system and the “Tesla coil”, which laid the foundation for wireless technologies that are still widely used in radio technology today. His AC system became the leading power system of the 20th century, and it has remained the worldwide standard for power systems ever since. Not only did he change the world with those inventions, he also discovered and developed ideas – which were then patented by other inventors – such as dynamos and the induction motor. On top of this, he was among the first to in the discovery of radar technology, x-ray technology, remote control and the rotating magnetic field – which is the basis of most AC machinery. 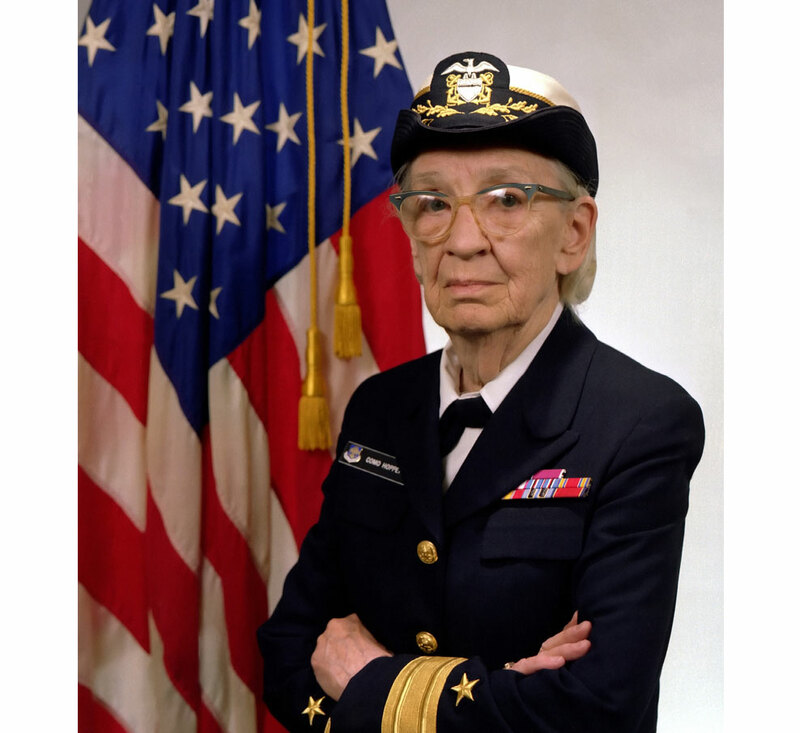 Grace Hopper was in an all-female division of The Navy called WAVES (Women Accepted for Volunteer Emergency Service), she graduated first in her class, and was assigned the rank of lieutenant, junior grade. She was then assigned to the programming staff for the new Mark I computer at Harvard University. After World War II, she was denied a transfer to the regular Navy, and instead took a full professorship offer to continue computer programming work at Harvard. One of Grace Hopper’s most famous anecdotes came from her, and her associates, work on the Mark II computer, which had a glitch that they were struggling to figure out. They eventually discovered the source of the issue, which was a live moth stuck in one of the electrical switches controlling a circuit – which is where the engineering term “debugging” came from! Whilst working as a senior mathematician on a team developing a new computer called UNIVAC I, which became the second commercial computer produced in the US, she created “a compiler”. Compilers are used to transform source code written from one computer language into another, usually less complex, language. At the time, compilers were revolutionary and nobody would use them, as they believed that computers could only do arithmetic. She was eventually recognised for their work, and was named the company’s first director of automatic programming. Grace served on a committee as a technical consultant, the committee’s purpose was to develop a standard programming language that could be used universally on any computer. The committee developed the programming language COBOL (COmmon Business-Orientated Language), and she developed the validation software for it, to make sure the language could perform it’s function – COBOL is still used in order-processing business software today! She helped to shape the future of programming, whilst working on COBOL as the director of the Navy Programming Languages Group, she pioneered work in designing and implementing technology standards for the US Navy. These tests and standards were then adopted by the National Bureau of Standards (now called the National Institute of Standards and Technology). In her lifetime, Grace tried to retire twice but was recalled back to active duty both times. When she finally retired at the age of 80, she was awarded the Defense Distinguished Service Medal, which is the highest non-combat award possible by the Department of Defense. She has been awarded 40 honorary degrees from universities around the world, with numerous awards and honours. Without Grace Hopper’s work and influence of her ideas on the development of computer programming, the computer science field would look extremely different today. She serves as an extremely important role model and inspiration to women working in STEM fields!